Revolving display merchandises a variety of products with its ability to accessorize with a wide selection of slatwall accessories. This 4 sided display has 2 slatwall sides, 2 sides of acrylic pocket with cubes each measured at 10 in. L x 11 in. D x 10 3/4 in. 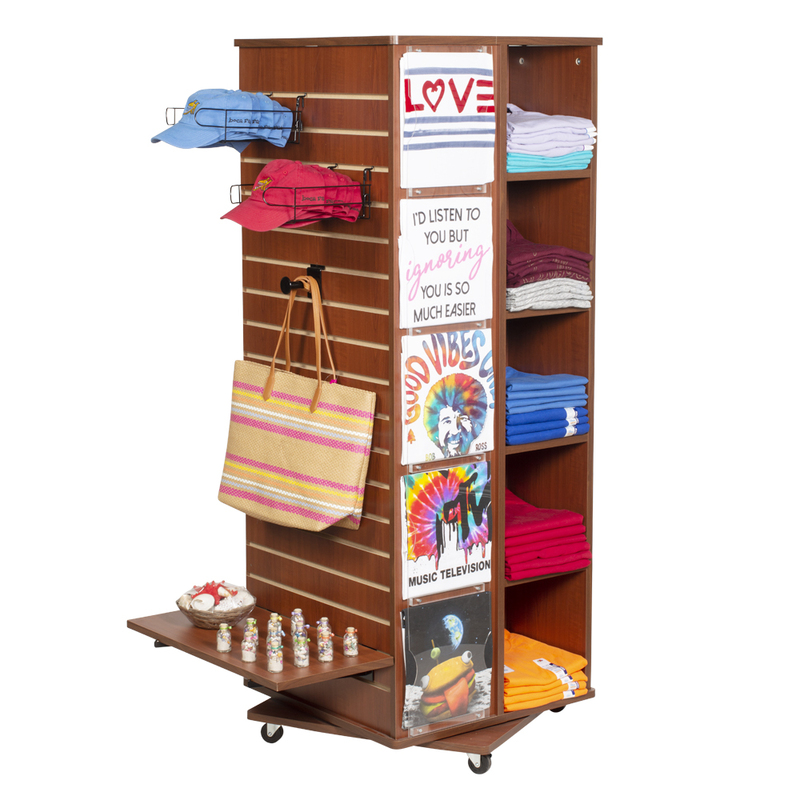 H.
The Revolving Cube and Slatwall Display features unique acrylic panel pockets to display T Shirts next to the folded product. 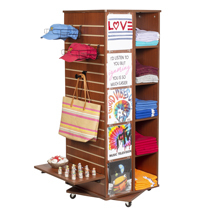 To display T shirts, simply unscrew acrylic front and add items then screw the acrylic panel closed. Includes casters. Assembly is simple and takes approximately 2 hours or we can assemble for you for an additional $75.00 per unit. View all the Slatwall Accessories here.